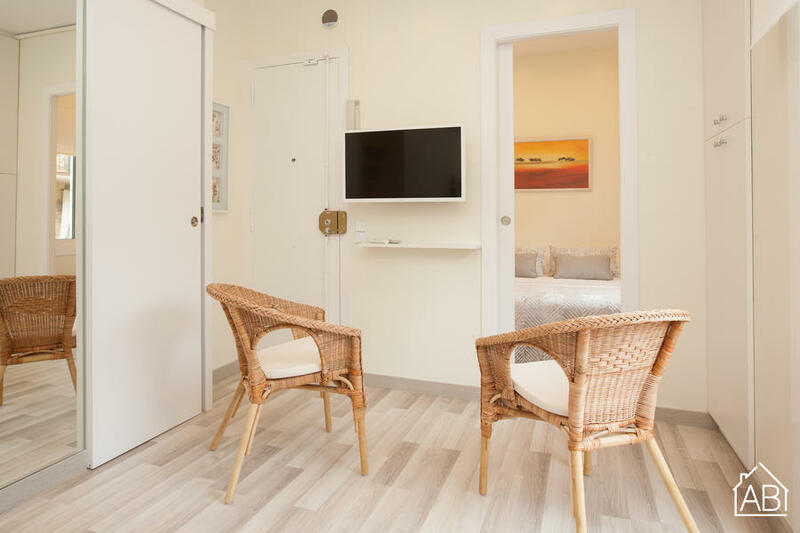 This modern, comfortable two-bedroom apartment in Barcelona, located close to the beach, and about 10 minutes away from the historical centre of the city, is the perfect choice for your time in Barcelona. The apartment is bright and can accommodate up to four people. The living/dining room has a TV and from here you’ll also have access to a balcony. The kitchen is fully equipped with all the essentials you’ll need, allowing you to create your very own home-cooked meals, or even try some Mediterranean inspired dishes! There is also a washing machine and a dishwasher for your convenience. The apartment has 2 bedrooms and 1 bathroom. Each bedroom contains a double bed. The apartment comes with many modern conveniences, such as Internet connection, central heating and air conditioning, ensuring a comfortable stay all year around.